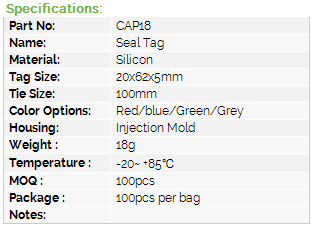 Click the button below to add the CAP18 - Silicon Seal Tags with LF,HF,UHF RFID to your wish list. RFID cable Tags are widely used for cable line, flowers or plants indications systems. The Cable tie tag will be locked once the tie inserted, hanging on the line goods and make it unique. It can also be used in harsh environment and outdoor. 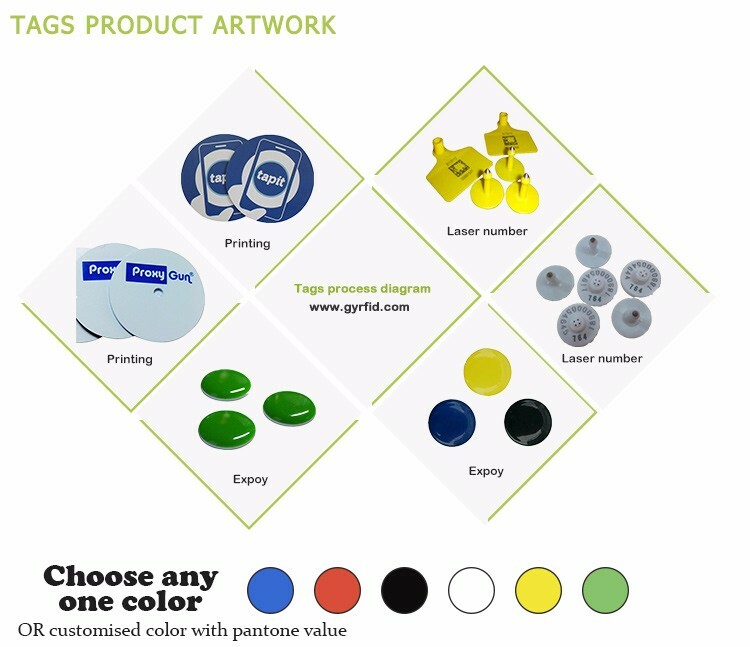 GYRFID offers various types of cable tags with different material, size to meet different applications. CAN series – Nylon material, mini popular size for LF, HF CAP series- plastic material, mini size for LF, HF SEAL01- ABS material, especially for electronic meter management CAP12-16 – PP material, especially designed for UHF, reach long range distance.